Prime Minister Narendra Modi, on 25 December, launched two award schemes named 'Lucky Grahak Yojana' and 'Digi Dhan Vyapar Yojana' to encourage digital payments during his 'Mann ki Baat' address. 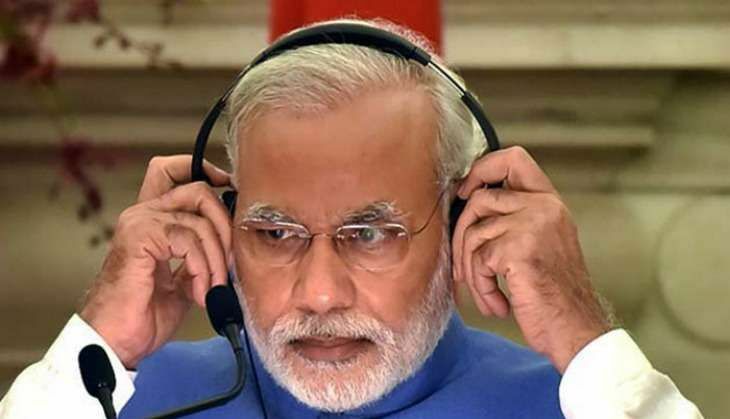 Prime Minister Modi, who was addressing the 27th edition of his monthly 'Mann Ki Baat' radio address, announced 'Lucky Grahak Yojana' for consumers and 'Digi Dhan Vapar Yojana for small traders. Urging the businessmen to encourage cashless transactions, the Prime Minister said, "The businessmen, who make use of digital payments, will also receive Income Tax benefits." "This digital movement is a golden opportunity for the youth and start-ups. They can open new avenues through it. We should be at the forefront of using digital means to make payments and transactions," he added. Announcing the scheme, Prime Minister Modi said, "Starting today, 15,000 Indians will get Rs. 1,000 cash awards for doing digital payments. Award scheme will be available for transactions above Rs. 50 and below Rs. 3,000." He further said he is happy that awareness towards online payments and using technology for economic transactions is increasing. He said there are 30 crore RuPay cards in the country, adding 20 crore are owned by the poor who have Jan Dhan accounts.